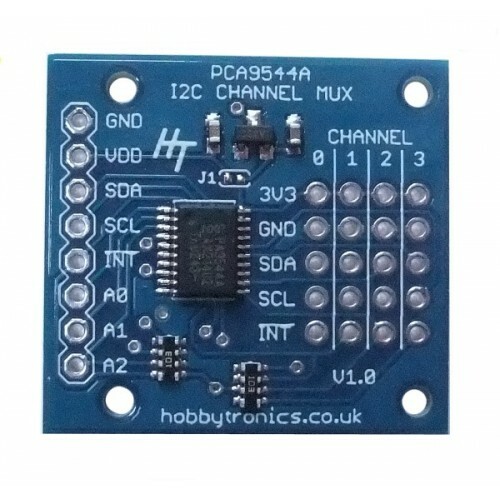 The 4 Channel I2C Multiplexer is basically a digital switch for up to 4 I2C devices. 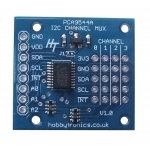 It uses a PCA9544A multiplexer IC to allow one of four devices to be connected to the I2C bus at one time, whilst disconnecting the other three. 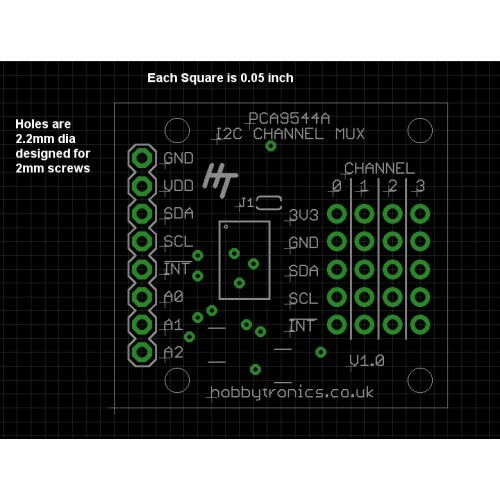 This is really useful for I2C devices that have a fixed I2C address. An example of such a device is the BMP180 Barometric Pressure Sensor which has a single fixed I2C address (0xEE). Therefore you can only have one such device connected to your I2C bus. 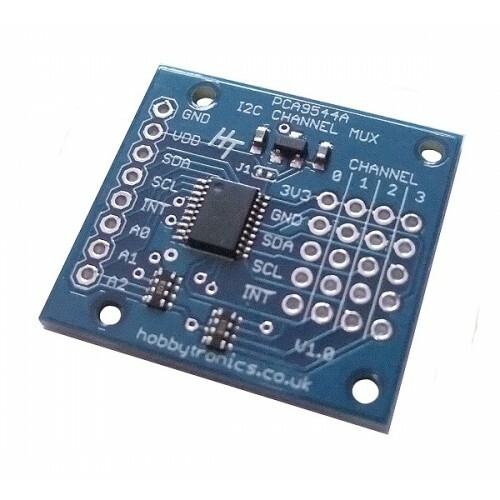 The I2C Multiplexer board lifts this limitation allowing you to have 4 such devices (or a mix of other devices) connected to the I2C bus. 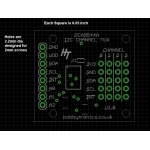 The Multiplexer board itself is controlled via the I2C bus so no additional microcontroller pins are required.